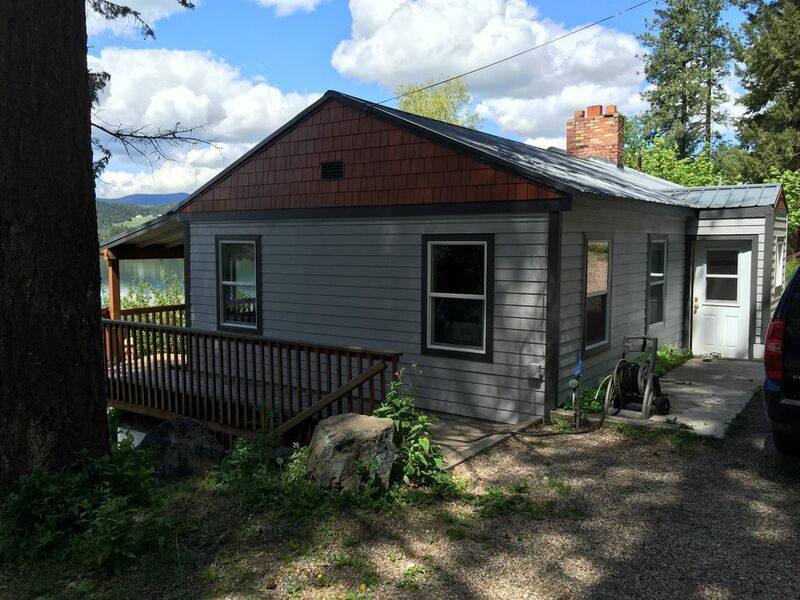 This comfortable 2 bedroom,1 1/2 bath lake front home offers a beautiful view of the lake and surrounding mountains, private dock, and hot tub. You can fish, swim, or bring your boat. Full kitchen, so bring your food or maybe go out to dinner at one of the near by resorts. Located only a couple miles from public lands where you can use your ATV, snowmobile, go hunting, biking or hiking. There are two towns within 10 miles which offer great ammenities such as; grocery stores, restaurants (Chinese, Mexican, gourmet eatery, fast food), gas stations, espresso stands, hardware stores, bars, 18 hole golf course and a casino among many others. Only approx. 18 miles from 49 degrees north ski resort. My family and friends have enjoyed this lake for many years as my grandparents owned this house from 1972-2011 when my wife and I purchased it. Nice distance from town and 49 Degrees. Loved the fireplace! We enjoyed our stay at this lake front property! The house was clean and had everything we needed. The hot tub and outdoor fire pit were great for the cold evenings! Not far from Chewelah and 49 Degrees North! The home is very cozy and was perfect for our family. Clean stocked and has everything you need. Very comfortable and clean cabin. Would stay there again! Loved our stay at the lake. It was close enough to amenities, was reasonably priced and allowed our two small dogs. Thanks for a great weekend!